Bo'ness, or Borrowstounness to give it its Sunday name, occupies an often overlooked little section of the Central Lowlands and is overshadowed by its seemingly more famous neighbours; Grangemouth with its pipes, chimneys and dramatic jets of flame making it look like a view of Dante's Inferno, and Linlithgow with its castle, loch, country park and cobbled streets with expresso-style cafes. So you could be forgiven then for thinking that Bo'ness was a quiet backwater with nothing much to its name…and, of course, you'd be wrong. For kids of the '60's and '70's like me the name of Bo'ness was everywhere due mainly to the fact that most of the manhole covers and street stank gratings of Scotland were manufactured there (how many marbles did we lose down them?) and proudly displayed the fact and this was typical of the industrial background of the port. It also marks the eastern end of the Antonine Wall and today is the home of the Bo'ness and Kinneil Steam Railway, a period steam line that has featured in many films and television dramas. 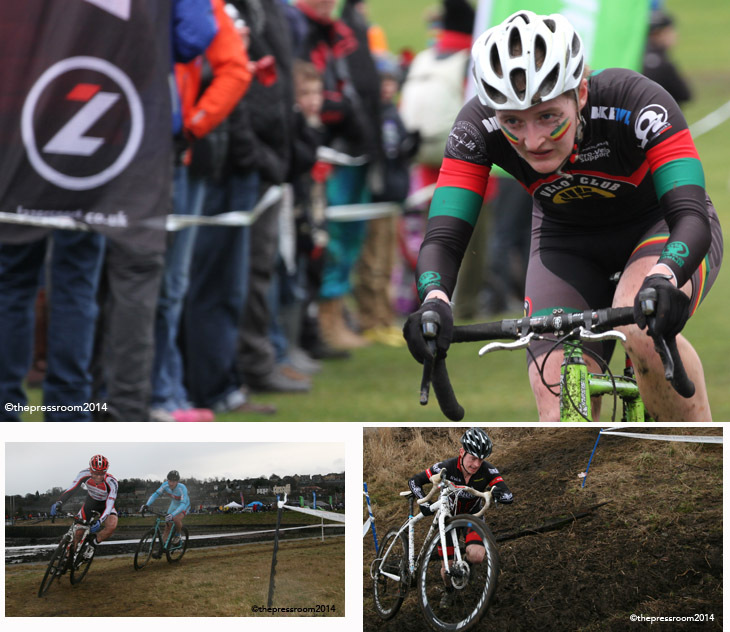 But more than that, and fast becoming one of the most important facts, is that it is also the home to the cyclocross phenomenon known as Dig In At The Dock. Not officially part of the championship series, and coming towards the end of the season, what is it that makes this race so special? It has a nice compact course, a mix of grassland, a couple of run-ups and some obstacles but there are tougher courses out there. It's got some nice dramatic backdrops to the racing but there are definitely other courses that offer better, more picturesque, views and scenery. The racing consists of only one all-in race where Juniors, Vets, Seniors and Elite riders compete side by side so other races cater for a wider range of racers and age groups. Year on year though, this event is hugely oversubscribed and the one defining factor that everyone agrees on is that the enthusiasm and professionalism of the organisers is at least second to none. 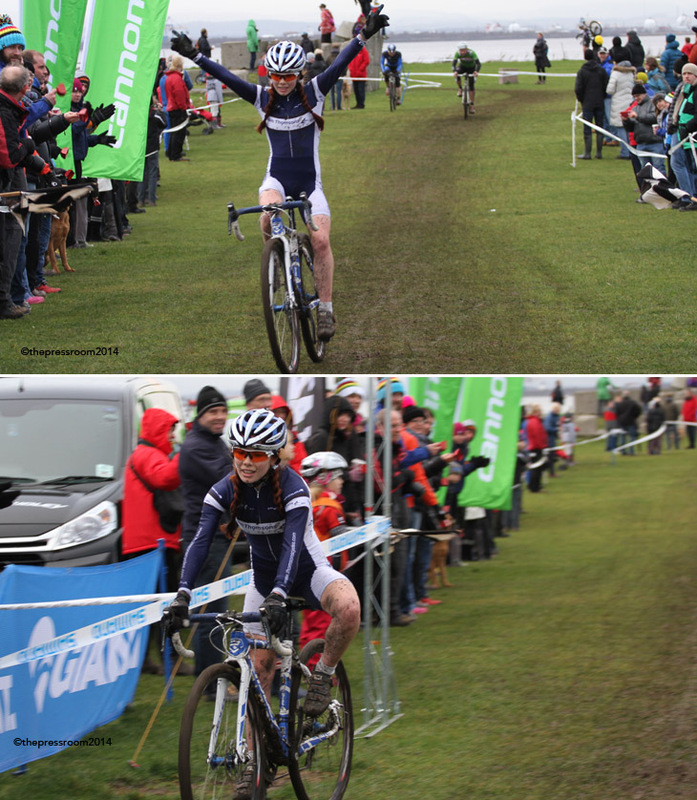 Dave Hamill and Jon Mccomisky, like many riders, help form the backbone of Scottish CX and they are genuinely likeable characters. They also know how to market their event and produced a promotional video which caused murmurings of a Christmas Number 1 from some quarters. We also liked the homage to Eric and Ernie and would like to point out to younger riders that Ant and Dec pinched the idea from them. So a host of volunteers from the organising club Pedal Power RT, along with many others such as Walkers Cycling, turned up early on Sunday morning to mark out the course. Essentially the circuit was based on an in-field section incorporating the start/finish line, a section out along the railway line to the west and back again via some obstacles and then the long run along the dock to the east, past the rear of the railway station and museum and into the figure 8 section of the woods. Then it was back in across the dock gate and a run out onto the quay before heading back to the east section in preparation for the final run to the finish. The weather played its part too in helping to produce the now legendary carnival atmosphere. Those laying out the course early on were treated to some truly glorious sunshine but by 11am it had clouded over somewhat. By the time race start came around at 1pm there were some dark clouds gathering out to the west but thankfully they stayed away for pretty much the whole period of the race, only coming on during the podium ceremonies. 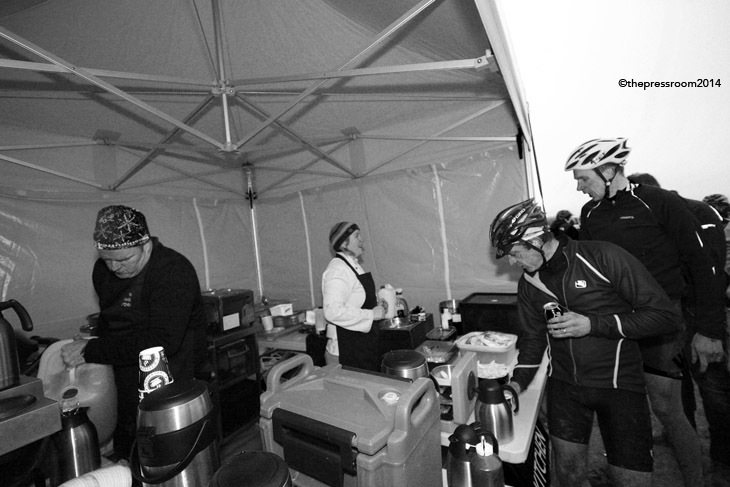 There was a complete race village at the in-field section with tents from Lazer Helmets, Endura, BigBobbleHats.co.uk and Cannondale to name but a few. There was face painting for the kids, and Maddy Robinson who sported her VC Moulin club colours in a kind of 'rasta-tiger' look, courtesy of Ashley at Flash Facepainting (https://www.facebook.com/flash.facepainting.ashleytheron). The biggest queue however, as we're getting very used to seeing, was the long line of riders and spectators alike who were waiting patiently as Euan Cleland of The Grange Kitchen dished out the burgers and butties! And so to the race. The riders took their positions and the more well known of them were called forward and took the warm applause of the crowd. 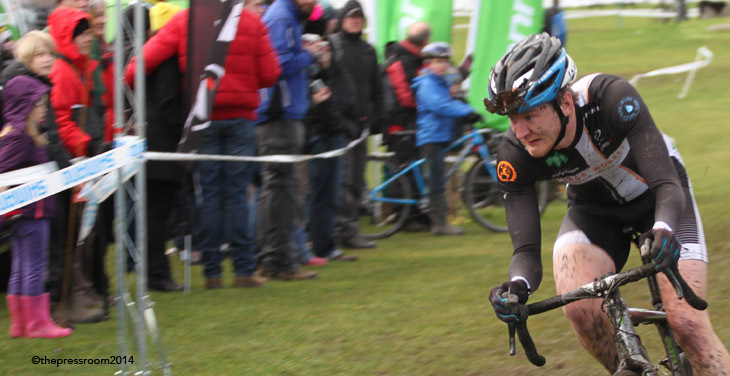 Rab Wardell was there in his first race for his new sponsor, Orange Monkey, having been picked up almost straight away since it was confirmed that Trek Factory Racing was downsizing. Orange Monkey had rushed a skinsuit to him so he could try for a debut win in team colours. 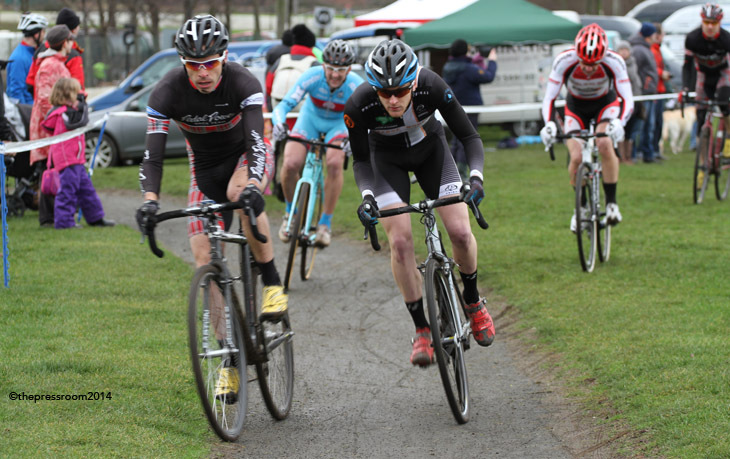 Davie Lines was also there representing his new team StarleyPrimalCycling but was still racing in his MG-Maxifuel kit. 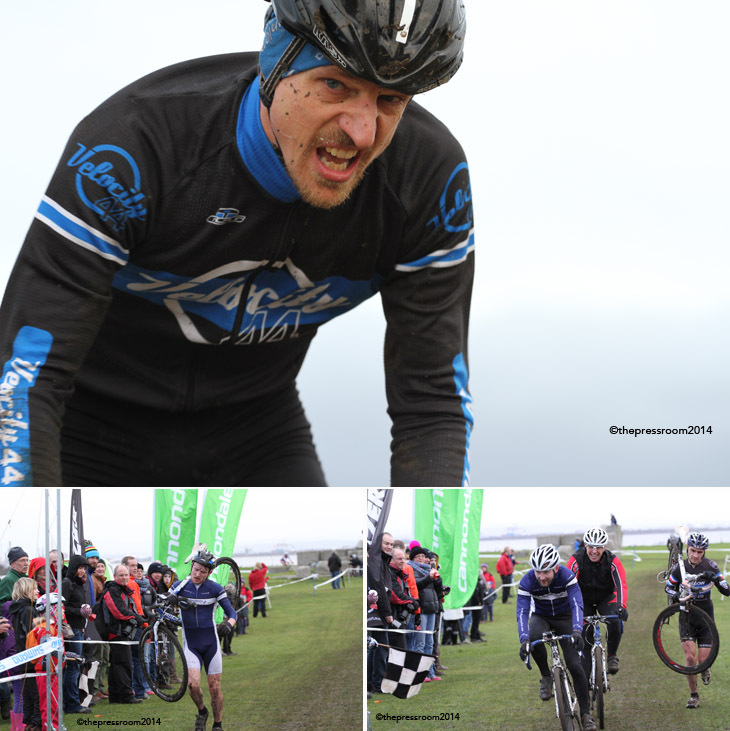 The host club was represented by Elite rider Gareth Montgomerie and the stalwart of the season, Gary McCrae of Team Leslie Bikeshop, was looking quietly confident. 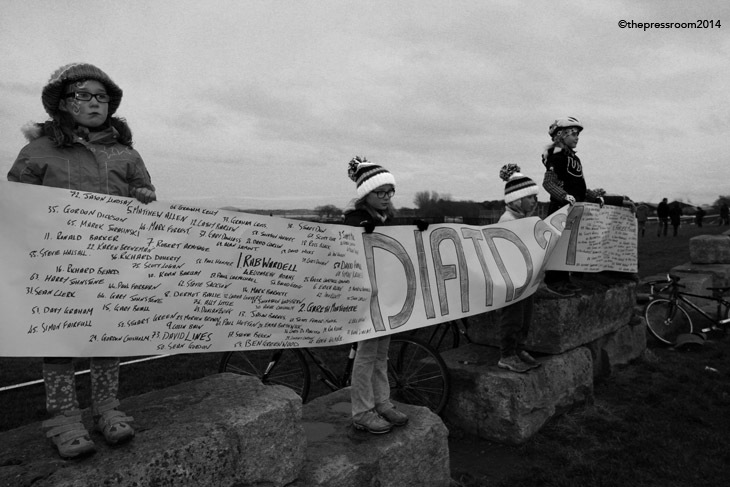 The women were represented by the phenomenon that is Isla Short and she was joined by her Team Thomsons Cycles teammates Erika Allen and Lyndsey Carson. Maddy Robinson was there for VC Moulin and Emma Borthwick of the Tri Centre was looking strong. The race started with a reverse pass through the start/finish and out on to the western leg but by the time the field came back through the in-field and headed out on the long run down the side of the dock in the direction of the station it was already clear that Rab Wardell meant business. He began to stretch the field and only Montgomerie and Lines had the ability to follow. The rest of the field began to line out as they headed into the woodland and by the time they came back around to cross the dock gate the leading trio were off the front with Wardell looking the strongest. The women were spread amongst the men in this all-in race but Isla Short was pulling away riding at her usual metronomic pace. The next lap saw possibly the move of the race and earned Gary McCrae the admiration of all present as he made a huge move and crossed the gap to the leading trio and the die was set for the next few laps. The field was stretching and as the riders tired the race-faces set in. The biggest upset came three laps from the finish when Wardell punctured and by the time he got going again he was well down on the three leaders. It looked like game-over for Rab but that would have been without counting on his determination to impress in his new colours and his obvious bike handling skills. He chased hard and each lap saw him take a chunk out of the deficit but ultimately he ran out of time on the one hour plus one lap race; he came close though so the disappointment was obvious although he was very gracious in his praise of the top guys and Gary McCrae especially for his efforts. In the women's race Isla Short, by her own admission, began to tire in the last couple of laps but she was still pulling away from Maddy Robinson by the time she approached the finish. As she came across the line, both arms held high in a victory salute, her tiredness showed a little as her bike wobbled off to the right and it was only quick thinking and an outstretched left knee which prevented her from clattering the upright. It was an undoubted triumph for her as she finished five minutes clear of her race rival. The riders came home in a steady stream and most received a 'high-five' from an obviously very happy organiser Mccomisky. There were a couple of last lap mechanicals with Sean Gordon of Team Thomsons Cycles carrying his bike in with a broken rear hanger and he looked spent. 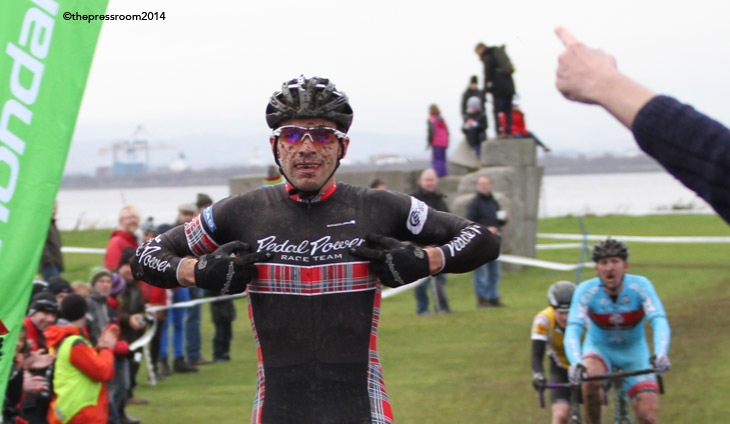 Steven Turbitt of Glasgow United CC also finished with his bike on his shoulder, but full marks go out to Andy Turnbull of Velocity 44 who had an incident as he started his final circuit; he put the bike on his back and ran the full length of the course to record his finish. The riders who were still gathered around the finish area sportingly cheered home all of the late finishers. All that was left was to refuel by emptying out the last of The Grange's supplies and award the prizes. The rain which had held off now began to make its presence felt and some spectators began to drift off but most stayed to see the presentation and to see if the big cheesy smile on Jon Mccomisky's face would ever fade…we're pretty sure it's still there as this event holds a special place in the heart of the Scottish cyclocrosser and the 2014 edition has only added to that. Everyone will be back with a number of riders promising to take 'cross more seriously…but maybe not too seriously as it's difficult to think of another sport that gives this much fun to all involved, whether riding, supporting or spectating. Special appreciation to Jon, Dave and Doc Pedro! 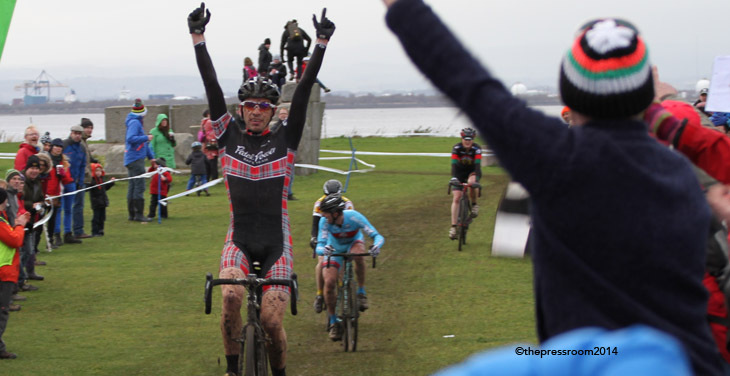 The 'cross season is not finished though with an event on Feb 1st for the younger riders taking place at Linlithgow courtesy of the West Lothian Clarion CC (details here: http://www.westlothianclarion.co.uk) and there is the John Muir Winter 'Cross the following day at Foxlake (https://www.entrycentral.com/wintercross) with the racing timed to allow everyone to finish and head into the tent in order to watch the World Cyclocross Championship from Hoogerheide on the big screen. After that riders will be splitting into their respective road and mountain bike disciplines and we'll have Morven covering all types of off-road stuff and I can get back to my comfort zone with the Icebreaker TT.